Nurses play a crucial role in preventing and controlling transmission of the infection through the application of standard precautions and maintenance of the health care environment. In hospitals, infected patients are a source of infection transmission to other patients, health care workers, and visitors. Healthcare-related infections have a considerable impact on the morbidity and mortality rates in the intra- and extra-hospital environment, resulting in an increase in the time spent and costs of hospitalization, and are thus recognized as a serious world public health problem. For example, Nosocomial infection is one of the leading causes of death. The prevention and control of infections are critical for a well-functioning health system. The aim of this study is to evaluate the knowledge and practice of 60 nurses working in medical and surgical units at tertiary care hospital in relation to infection control measures. A questionnaire and an observation checklist were the data collection tool. The result of the study revealed that the majority of the sample had good knowledge about infection control measures, but they showed lack of practice in hand washing and using gloving which are the most significant items to prevent transmission of infection. In conclusion, nurse managers need to supervise the staff nurses on the practicing infection prevention standards and techniques and monitor nursing adherence to policies of the hospital. The Administrators should promote feedback on practice, individual reinforcement and appropriate rewards for the good practice. On the other hand, health care providers have exposed to blood born infection especially hepatitis B, C and HIV due to recapping of a needle and sharps injuries. In 2002, the WHO report published data demonstrating that 2.5% of HIV cases and 40% of hepatitis Band C cases among health care workers worldwide are the results of occupational exposure. According to the Joint United Nations Program on HIV/acquired immune deficiency syndrome (AIDS) (UNAIDS), about 34 million people are infected with HIV worldwide. A cross-sectional descriptive study was used to assess a nurse’s knowledge and practice of infection control measures within tertiary care hospital. The study was conducted in largest, prominent and oldest health care organization affiliated by the ministry of health in Saudi Arabia. Also, it was accredited nationally. The study was conducted in medical unit and general surgical units. This Hospital provides primary, secondary and tertiary health care services, for a multiplicity of specialization. A convenient sample of sixty nurses working in medical and surgical units. During the pilot study, the questionnaire was pre-tested to identify problems with the design and to refine the questionnaire. To conduct the pilot study 10% of nurses at the same government tertiary hospital from each unite was selected. The time required completing the questionnaire and the observation checklist was also observed and confirmed. During the pilot study, a self-developed, closed-ended questionnaire and observation checklist was used to determine knowledge and practices among nurses in infection control measures. Therefore, the validity of the instrument was evaluated. To maximize validity, representative questions for each unite were designed and evaluated against the desired outcome. A specialist in nursing practice, infection prevention, and control professional nurse and nursing academic agreed on the face validity of the questionnaire. The instrument was designed by the researcher in conjunction with expertise in infection control and nursing field to establish the reliability of the instrument, the pilot study was conducted at the same government tertiary hospital from each assigned unite was selected. Ethical issues about participants’ consent, no identifying information was required from the participants, which saves the privacy of the study participants was informed that they had the freedom to withdraw from the study at any time. Data collection plan was developed with official communication with the selected setting for the distribution and retrieval of questionnaires. The plan was discussed with the head nurses of units after and explained the purpose of the study and ethical aspect of the survey to collect the data from their staff. Data were collected then analyzed using SPSS program for data tabulation, presentation, and statistical analysis. Data were coded, entered and analyzed included: number and percentage. Chi-square was used to estimate the significant differences between different variables. The sample characteristics of the study revealed that 41.7% of nurses age ranged between 20 years to less than 25 years of age and ( 75%) of nurses were in Saudi. The majority of the sample (68.3%) years of experience were less than 5 years. The highest percentage (60%) of nurses held a diploma degree in nursing and half of the sample 50% attend training program about infection prevention. Also, 63.3% working as a staff nurse. Table 1 shows nurses knowledge and practice related to infection control measures during patient care, as regards of hand washing (78.3%) of nurses had fair knowledge while all the nurses’ knowledge about hand washing after had good. However, all of the nurses had poorly practice of hand washing before and after patient care. In relation to, nurses’ knowledge about gloving, disinfection and discarding were good (71.7%, 63.3%, and 93.3%). Generally, (60%) of the nurses had good knowledge and 51.7% had poor practice about infection control measures. Table 1: Frequency and percent of nurses’ knowledge and practice related to infection control measures (N= 60). Table 2 shows the relationship between nurses’ practice and Demographic Profile Regarding infection control measures it shows that there are significant differences between mean scores of nurses’ practice and level education and discarding equipment, current position and gloving wear, nationality and mean scores of disinfection procedures. Table 2: The relationship between nurses’ practice and demographic profile regarding infection control measures. Table 3 shows the relationship between nurse’s knowledge and selected demographic profile among infection control measures. There were significant differences between the nurse’s knowledge and level of education in hand washing before and discarding the equipment also the current position. Nationality and attend training program had significant differences with discarding the equipment. Table 3: The relationship between nurse’s knowledge and selected demographic profile among infection control measures. Regarding the practice of infection control measures, the majority of nurses had a poor practice of hand washing before and after the procedure, gloving. Hand hygiene and glove utilization are the simplest, most effective measure for preventing both transmissions of infections to patients from health care personnel and also protecting health care personnel from acquiring infections from infected body surfaces, body fluids or blood of patients. Although, the presence of accessible supplies but health care workers’ adherence to guidelines is poor. However, numerous studies have supported the present study which revealed that poor infection control practice in hand hygiene and gloving utilization. [18,23,27-30] This poor practice in hand hygiene and glove utilization might be related to forgetfulness, ignorance of guidelines, insufficient time, high workload, skin irritation by hand hygiene agents or latex gloves, low risk for acquiring infection from patients, and many nurses may felt that gloves hinder their skillful performance of duties especially in situation that calls for immediate intervention. It was concluding that the majority of the sample had good knowledge about infection control measures, but they showed lack of practice in hand washing and using gloving which are the most significant items to prevent transmission of infection. This study we recommended that Nurse managers need to be supervising the staff nurses on the practicing infection prevention standards and techniques and monitoring nursing adherence to policies of the hospital. The Administrators should promote feedback of practice, individual reinforcement and appropriate rewards for the good practice. Sydnor E, Perl T. Hospital epidemiology and infection control in acute-care setting. Clin Microbiol Rev. 2011; 24:141-173. Sousa AFL, Matos MCB, Matos JGNF, Sousa LRM, Moura MEB, Andrade D. Prevention and control of infection in professional nursing training: a descriptive study. Online Braz j nurs. 2017;2:199-208.
WHO. Infection prevention and control in healthcare 2015. Guadalupe B, Amy D, Khama R, Njeri M, Francis W, Jorge C, et al. Observations of infection prevention and control practices in primary health care, Kenya. Bulletin of the World Health 2017;95:481-544. Watikins R, Wynaden D, Hart L. Perception of infection control practices among health professionals. Contemp Nure. 2006;22:109-119. Practice Standard: Infection Prevention and control. Canada: College of Nurses of Ontario: 2005.
WHO. Prevention of hospital-acquired infection: A practical guide. 2nd edition 2002. Daniels R, Grendell R, Wilkins F. Nursing fundamentals: Caring & Clinical Decision Making, (2nd edn), 2010, Demar Cengage Learning: USA. Brooker C, Waugh A, Waston R. Foundations of nursing practice: Fundamentals of holistic care, 2007, Mosby Elsevier: London, UK. Dakshinamoorthy S. Compliance of infection control VAP bundle in critical care unit nurses in Tertiary Care Hospital at Chennai. International Journal of Nursing Education. 2018;10:121-124. Sehulster L, Chinn R. Guidelines for environmental infection control health care facilities: Recommendations of CDC and the healthcare infection control practices Advisor Committee (HICPAC). In MMWR Recommendations and Reports, 2003;1-42. World Health Organization. The World Health Report 2002: Reducing risks, promoting healthy life.2002. Alhuraiji A, Alaraj A, Alghamdi S, Alrbiaan A, Abdulrahman A, lrajhi A. 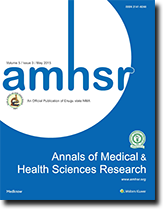 Viral hepatitis B and C in HIV-infected patients in Saudi Arabia Ann Saudi Med. 2014;34:207-210. Smith S, Duell D, Martin B. Photo guide of nursing skills, 2002. Elsevier Health: London, UK. El-Sayed KA, Al-Nawawy AN, Hassan NM. Risk perception and precautions are taken by health care workers for HIV infection in hemodialysis units in Egypt. WHO EMRO- Eastern Mediterranean Health Journal. 2007;13. Naikoba S, Hayward A. The effectiveness of interventions aimed at increasing handwashing in healthcare workers – A systematic review. Journal of Hospital Infection. 2001;47:173-180. Batista JR, Leite KN, Oliveira SX, De Medeiros RC, De Souza TA, de Lima MM. 2017. Knowledge of the nursing team in the main types of hospital infections. J Nurs UFPE online, Recife, 2017;11:4946-4952. Centers for Disease Control. Guidelines for Prevention of Catheter-associated urinary tract infection. 2009 [Online]. Centers for Disease Control. Guidelines for the prevention of intravascular catheter-related infections 2011. Rupp EM, Anderson RJ. Prospective, controlled, cross- over Trial of Alcohol-Based Hand el in Critical care units. Infection control and Hospital Epidemiology. 2008;29. Alam M. Knowledge, attitude and practices among health care workers on needlestick injuries. Annals of Saudi Medicine, 2002;22:5-6. Soliman S. Assessment of nurse’s knowledge and attitude toward infection standards precautions in primary health care settings, Bulletin of High Institute of Public Health. 2007;37. Ghaleb M, Aboul Azm S. Needle stick Injuries: Knowledge and practice among nurse in the Kingdom of Saudi Arabia. The New Egyptian Journal of Medicine. 2007;36. Askarian M, Khalooee A, Nakhaee N. Personal hygiene and safety of a governmental hospital in Shiraz, Islamic Republic of Iran. Eastern Mediterranean Health Journal. 2006;12. Sacar S, Turgut H, Asan A. Poor hospital infection control practice in hand hygiene, glove utilization and usage of tourniquets, American Journal Infection Control, and 2006;43:606-609. Pittet D. Improving adherence to hand hygiene Practice: A Multidisciplinary Approach. Emerging Infectious Disease. The University of Geneva Hospital. 2001;7. Aly S. Assessment of nurse’s knowledge and practice regarding hospital infection control in Suez Canal University Hospital. High Institute of Nursing, Suez Canal University.1998.